Weekend Historical Happenings: 1/26/13 - 1/27/13 ~ The History Girl! Clifford Zink, noted historian and author, will highlight the legacy of the Roeblings and the John A. Roebling's Sons Company, once one of New Jersey's largest employers, and he will discuss the challenges, losses and successes in the preservation of Roebling historic sites and structures over the last thirty years on Saturday from 10:00 am - 1:00 pm. Included in those inspiring successes is the Roebling Museum www.roeblingmuseum.org, a Preservation New Jersey Heritage Tourism Partner, which we will have the opportunity to tour during the meeting. The Washington Township Historical Society presents a lecture in honor of the township's 275th anniversary on Saturday at 3:00 pm. The year 1738 marked the arrival of a band of German settlers to Middle Valley who had fled Europe to find religious freedom. The year 2013 marks the 275th anniversary of that settlement in Washington Township. To kick off a yearlong celebration, several members of the historical society will present programs on different facets of the township. These will be held on three consecutive Saturdays from 3:00 pm to 4:30 pm at the Washington Township Public Library, E. Springtown Road, Long Valley. The series is free and refreshments will be served. On Saturday, Mary Ann Kordys, Karen Muscat, and Betsy Guzenski will discuss several of the treasures in the WTHS museum collection. On display will be items such as the Luisa Neighbour Jacquard woven coverlet dated 1844 and a wooden clarinet owned and played by Philip Dufford in 1825. 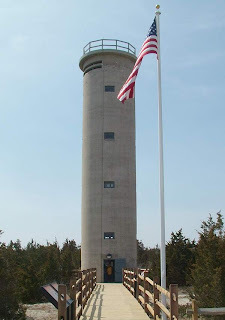 Friends of the World War II Tower Meeting "Turkey, Tunes, and Tales"
Join the Friends of the World War II Tower in Cape May on Saturday at 6:00 pm for this combined social event and seminar to honor area veterans of all wars. After a turkey dinner and dancing accompanied by piano music, popular during America's wars from World War II to the present, veterans of each conflict will share their recollections with the group. As an introduction to each presentation, Rich Chiemingo will play and discuss music that was popular during each war. Admission price: $15 in advance and $17 at the door for Friends of the Tower; $20 in advance and $22 at the door for members of the public. Those attending may join the Friends group at this meeting and get discounted admission to this and other Friends events. Admission limited to 75. This event will be held at Cape May Lutheran Church, 509 Pittsburgh Avenue, Cape May, NJ. This event is sponsored by the Mid-Atlantic Center for the Arts & Humanities (MAC). For more information, call 609-884-5404 or 800-275-4278 or visit www.capemaymac.org. Meet at the General Store at 7:00 pm. Guests should be prepared for a relatively vigorous walk, are encouraged to dress for the weather and bring anything that may be needed for your comfort, such as sturdy shoes, a light jacket, and a flashlight. Light refreshments will be served after the walk. Inclement weather cancels. Fee is $5 per person. 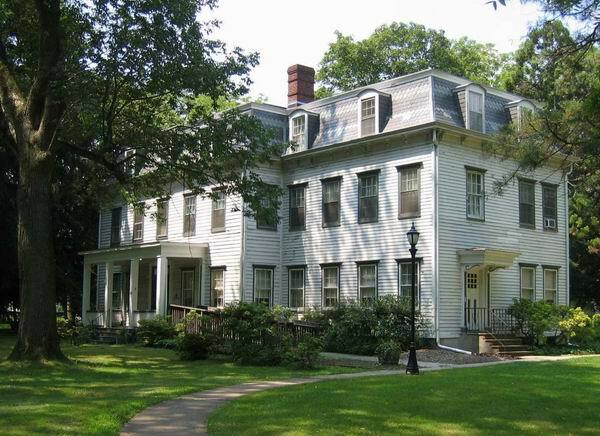 Reservations by Friday, January 25 are required: leave name, telephone number and number of people attending on main voicemail, 609-893-4646, or e-mail WhitesbogPreservationTrust@comcast.net. All proceeds benefit the Whitesbog Preservation Trust in its tireless efforts to restore and protect Historic Whitesbog Village and its surrounding lands. Whitesbog Village is located at mile marker 13 on County Route 530 in Browns Mills (Pemberton Township), NJ. To find out information and directions: call 609-893-4646, e-mail WhitesbogPreservationTrust@comcast.net or visit www.whitesbog.org. The Bergen County Historical Society marks the back-to-back midwinter feasts of Brigit's Day and Candlemas at Historic New Bridge Landing on Sunday from 1:00 - 5:00 pm. Candle-making will be demonstrated at the Out Kitchen by Fort Lee historian John Muller. Accomplished harpist Ardis A. Cavin, an adjunct professor at Bergen Community College, will give a 45-minute performance of Irish ballads on Celtic harp in the Steuben House at 1:30 and 3:00 pm. She was recently featured in a Channel 13 program, "Ballads from Britain." All three houses will be open to tour. Traditional foods, including crepes, will be available in the Black Horse Tavern. Wake up Mr. Groundhog - Do all Animals Hibernate?